Taylor is a single mother of two children, a 5-year-old daughter and a 1-year-old son. Her goals were to find employment in the male-dominated construction industry and obtain her driver’s license. During her enrollment in EARN, she successfully achieved both of her goals. 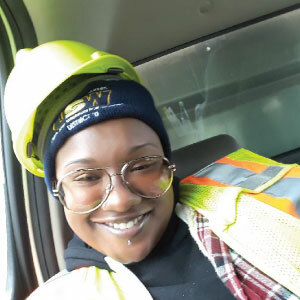 Upon completing training through “Breaking the Chains of Poverty”, she became certified in several areas of construction and secured employment with Allegheny County Public Works as a laborer. She loves her new job! Click here to learn more about Goodwill's McKeesport EARN program.